After more than 20 years of experimentation and intense debate, Americans favor school choice. A national survey by Beck Research shows 69% of Americans support school choice, including 60% of Democrats. Vermont’s experience with school choice has existed since 1869. Today, every child in 93 Vermont towns may receive a voucher – valued at approximately $14,000 – and is free to attend any public or private school. Similar to our national poll, Vermont's citizens favored school-choice by roughly 70%. Governor Andrew Cuomo (D-NY) is also attempting to move his state toward school choice. Cuomo has championed increasing charter schools, tax credits for donors to private schools, and using vacant government buildings for charter schools. Self-interested and harmful, the very powerful teacher-unions are fiercely opposed to school choice. Our teacher-unions donate millions of dollars into state and federal campaigns. Of the gigantic amounts of money raised, nearly the entire amount goes to the Democratic party, which have blocked most school reform efforts. Again, in Human Events, Chavous claims the 2014 elections favored candidates supporting school choice. Today, the politics are clearly favorable with 70% of Americans supporting school choice. Kevin Chavous, a former D.C. city councilman, and the Governor Cuomo of New York are actively supporting the concept of school choice. 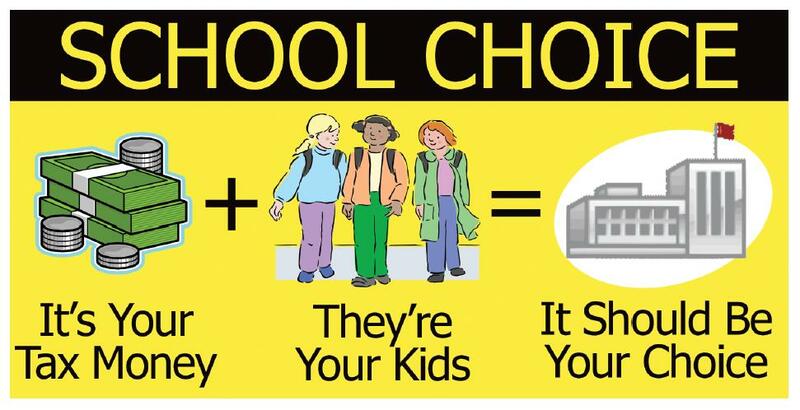 Vermont supports school choice. Now, it is time for parents and community leaders to demand school choice in their school district, state, and nation. If we stand together, a strong grassroots campaign will force politicians to vote for school choice.